I Cornelius, member of the Iglesia Ni Cristo (Church of Christ) for many years, now converted to the true gospel of Christ. Members and former members who are still faithful to the doctrines of the Church, I encourage you use your wisdom, be open-minded, but if you are offended of anything in this article, you can choose to stop reading. My favorite doctrine of the Church is the teaching of how Christ created one new man, to avoid the law of God that each one will pay his/her own sin, by creating one new man, even if Christ did not sin, He died for the sin of his body, the Church. This is the answer for my very own question why Christ has to die on the cross even if He did not sin. That is so logical and very clever teaching. How can you not believe that only a messenger can interpret the bible correctly? No other religions that I know teach this. The Iglesia Ni Crito (INC), the Church that Christ will save (Acts 20:28, Lamsa Translation) because Christ made His body – the Church (Col 1:18) and He is the head of His body. By doing this He made a one new man (Eph. 2:15-16 NKJV) to reconcile the body which is the Church from (Col.1:18 NKJV). Christ needed to create one new man so as not to violate God’s law, that whoever commits a sin, the same person must die for that sin (Dt.24:16). Deuteronomy 24:16, KJV- 16 “Fathers shall not be put to death for their children, nor shall children be put to death for their fathers; a person shall be put to death for his own sin. In previous article I covered the mystery is referring to “that the Gentiles should be fellow heirs, of the same body, and partakers of His promise in Christ through the gospel“. The one new man created by Christ are the Jews and the Gentiles [ all non-Jews are Gentiles] contrary to INC teaching that the one new man is Christ the head, the body is the Church. Christ created one new man by abolishing the laws. In INC teaching, Christ created one new man so as not to violate the law in Deuteronomy 24:16. The laws are referring to Mosaic law or the law of Moses not only to the law of sin and death. For example Jews are required to be circumcised, while Gentiles are not. Under Christ, the requirements for Jews are no longer the same. Ephesians 2:15-16, NKJV- 24 having abolished in His flesh the enmity, that is, the law of commandments contained in ordinances, so as to create in Himself one new man from the two, thus making peace, 16 and that He might reconcile them both to God in one body through the cross, thereby putting to death the enmity. We will cover the two topics in details now. In INC doctrine on Ephesians 2:15, Christ created one new man to meet (follow or not violate) the law of God that one will pay for his/her own sin. That is not the case if we read verse 14, the context is abolishing the law. We need to understand in Christ there is no differences between Jewish Christians and Gentile Christians. There is only Christians as recorded in Galatians 3:28. Ephesians 2:14-16, NKJV – 14 For He Himself is our peace, who has made both one, and has broken down the middle wall of separation, 15 having abolished in His flesh the enmity, that is, the law of commandments contained in ordinances, so as to create in Himself one new man from the two, thus making peace, 16 and that He might reconcile them both to God in one body through the cross, thereby putting to death the enmity. “broken down the middle wall of separation” . One logical thought is that the wall of separation is the Mosaic law which is not applicable to the Gentiles. There is no need to apply the Jewish law to the Gentiles so that they can be fellow heirs of the promise. “having abolished in His flesh the enmity, that is, the law of commandments contained in ordinances” – the wall dividing the Jewish courts from the Gentile courts was an image picturing the bigger spiritual wall of the Law. It was Torah that separated the nations from Israel. What makes a Hebrew a Hebrew? Bottom line, it was Torah. And in Christ’s finished work, we see that this wall, or as Paul explains, this enmity—the Law of commandments—has been destroyed and abolished – based on David Curtis teachings and Josephus’ “The Wars of the Jews”. The Mosaic Law created a barrier between the Jews and the Gentiles. The Mosaic Law was given exclusively to Israel as God’s covenant people. Many stipulations in The Law excluded Gentiles from the Jewish forms of worship. The priests alone could perform the sacrifices and ceremonies. Only Jews who had properly gone through the cleansing rituals could approach the altar with their sacrifices. The ceremonial food laws made it impossible for a devout Jew to eat a meal with a Gentile, or to stay in a Gentile home. So The Law created a barrier between the Jews and the Gentiles – this is what Christ is abolishing by creating one new man. It is now making sense to understand the making of one new man after breaking down the middle wall of separation, that is the Mosaic law. Ephesians 2:11-12, NKJV – 11 Therefore remember that you, once Gentiles in the flesh—who are called Uncircumcised by what is called the Circumcision made in the flesh by hands— 12 that at that time you were without Christ, being aliens from the commonwealth of Israel and strangers from the covenants of promise, having no hope and without God in the world. “But now in Christ Jesus you who once were far off have been brought near ” – Gentiles are always said to be far-off by Apostle Paul. Ephesians 2:13-16, NKJV – 13 But now in Christ Jesus you who once were far off have been brought near by the blood of Christ. 14 For He Himself is our peace, who has made both one, and has broken down the middle wall of separation, 15 having abolished in His flesh the enmity, that is, the law of commandments contained in ordinances, so as to create in Himself one new man from the two, thus making peace, 16 and that He might reconcile them both to God in one body through the cross, thereby putting to death the enmity. “create in Himself one new man from the two “- Christ created in Himself, not only from his head and using a newly created body just like the INC teaching, but in Himself, one new man from the two – the “two” referring to the Jews and the Gentiles. Remember Apostle Paul is the one speaking to Ephesians who are Gentiles. “thus making peace” – Jesus established peace by abolishing the Mosaic Law and making the two into one New Man. There are not two saving covenants. There are not two saved people of God. Contrary to the teaching of the INC, God abolished “chosen people“. That was the thing of the past, that was during the Mosaic period. In verse 16, “reconcile them both to God in one body“. The Jews and non-Jews are reconciled to God in one body – there is no more chosen ones, it is all in Christ. “through the cross, thereby putting to death the enmity” – The enmity has been put to death by our Lord Jesus Christ who has taken upon Himself the judgment that the broken law required, that He has paid to the full for the people of God. In verse 17, Apostle Paul clarifies Christ preach peace to you [Gentiles, remember Paul speaking to Gentiles] who where “afar off” and to those who are near [Jews]. Ephesians 2:17, NKJV – 17 And He came and preached peace to you who were afar off and to those who were near. In previous post titled “For The Promise Is To You And To Your Children, And To All Who Are Afar Off“, we learned there are only two groups of people not three as taught inside the INC. The one new man from the two refers to Jews and Gentiles not Christ as head and body as Church. This is part of the mystery that the Gentiles are fellow heirs of the promise. The Gentiles are strangers to the covenants of promise before Christ. Our Lord Jesus Christ abolished the law, the Mosaic law in order to create one new man. There is neither Jews, nor Greek [non-Jews who are Christians], there is only Christians now. Now there is a new answer for my very own question why Christ has to die on the cross even if He did not sin – He abolished the Mosaic law, created one new man from Himself so that He can fulfill the redemption of our sin through his death thus making peace. This entry was posted in Religion on August 26, 2016 by Cornelius. For the active and former members who are still faithful to the doctrines of the Church, I encourage you use your wisdom, be open-minded, but if you are offended of anything in this article, you can choose to stop reading. One of the doctrine inside the Church is that the bible is kept in mystery. For many years I believed this teaching but now I have theories this teaching is in the wrong context and there is equivocation to keep membership in the Church. What are the verses used by the Church to teach the bible is kept in mystery and what other doctrines related to this teaching? It has been revealed to the messenger – Mark 4:11-12. Non-messenger of God will never come to the true understanding of the bible – 2 Tim. 3:7. Is the Bible Kept in Mystery? Read Romans 16:25 carefully the verse says “revelation of the mystery kept secret since the world began“. The meaning of “revelation” is to “made known” but even though, the Church may still be correct by saying it is only revealing there is mystery, what is mystery is still a secret since the world began. “now made manifest” – The word “manifest” means “clear or obvious to the eye or mind“. “by prophetic Scriptures made known to all nations” – clearly saying by the scriptures itself has been made known to all nations. Notice “all nations”, there is not exclusivity mentioned here contrary to the teaching of the Church only revealed to the messenger of God. What really is the mystery referring to Romans 16:25-26? Is the bible kept in mystery the way the INC is teaching it? Colossians 1:26-27, NKJV – 26 the mystery which has been hidden from ages and from generations, but now has been revealed to His saints. 27 To them God willed to make known what are the riches of the glory of this mystery among the Gentiles: which is Christ in you, the hope of glory. Verse 6 clearly answers what is the mystery that is “that the Gentiles should be fellow heirs, of the same body, and partakers of His promise in Christ through the gospel“. Notice also in verse 4 how Apostle Paul encourage the Gentiles to read that is the gospel in order to understand the mystery that he is speaking to. Why are Gentiles being a fellow heirs of the promise a mystery? The short answer is that the original promise was to the Jews only. The long answer will be covered in the upcoming post titled “The One New Man”. “To you has been given” – the “you” here are the followers of Jesus spoken of in verse 10 including the 12 Apostles. They recognized that there was a lesson to be learned from the parable [the parable of the sower in previous Mark 4:3-9] and came to Him seeking more truth. They begin to ask Him what the parable means. Jesus then answered in verse 11 “To you it has been given to know the mystery of the kingdom of God …“. So how many the mystery has been given? Many, not only to the twelve Apostles! The word “mystery” is not to indicate a secret teaching revealed only to some elite people, but truth revealed to all followers of Christ. Who will never come to the true understanding in 2 Tim. 3:7? 2 Timothy 3:7, NKJV – 7 always learning and never able to come to the knowledge of the truth. If we read 2 Timothy from verse 1, those who always learning and never able to come to the knowledge of the truth are the perilous men. Since we have proven the “mystery” is not the bible, the real context of “mystery” is that the Gentiles are fellow heirs of the promise, the use of 2 Timothy 3:7 by the Church is out of context in teaching the “mystery”. 2 Peter 3:16, NKJV – 16 as also in all his epistles, speaking in them of these things, in which are some things hard to understand, which untaught and unstable people twist to their own destruction, as they do also the rest of the Scriptures. Well, it is true that some things are hard to understand but the verse is referring to the untaught and unstable people, not us. In fact in verse 18, we are reminded to “grow in the grace and knowledge of our Lord and Savior Jesus Christ“. 2 Peter 3:17-18, NKJV – 17 You therefore, beloved, since you know this beforehand, beware lest you also fall from your own steadfastness, being led away with the error of the wicked; 18 but grow in the grace and knowledge of our Lord and Savior Jesus Christ.“. Therefore in order to grown in the knowledge of our Lord Jesus Christ, we have to read the scriptures just like the Bereans do in Acts 17:11. The bible is not kept in mystery. The mystery mentioned in Romans 16:25 is that the Gentiles are fellow heirs of the promise. I have strong feeling there is theory of equivocation in using the word “mystery” by the Church. This is number one in my equivocation list. To members and former members of the Iglesia ni Cristo (Church of Christ): Greetings to all of you! I Cornelius, a member of the INC for many years, my dear brethren I come to you in peace. May the grace from God our Father and the Lord Jesus Christ be with us. In the Old Testament, God commanded His people to build a Tabernacle in the wilderness of Sinai. Unlike the tabernacle built by the INC which was also pattern after the Old Testament Tabernacle, the original was a moveable tent. The tabernacle was built exactly how God want it to be built with a direct instructions to Moses. Later King Solomon built the first Temple in Jerusalem, which was completed in 960 BC. This was destroyed by the Babylonians and rebuilt in 536 BC. Later the second Temple was expanded by King Herod, just before the time of Jesus Christ. This is known as Herod’s Temple, also known as Jerusalem Temple. The second temple was destroyed in A.D. 70 which is the Temple and topics covered in Part 4: The End Of The Age – The Answers. Acts 6:14, NKJV – 14 For we have heard him say that this Jesus of Nazareth will destroy this place and change the customs Moses handed down to us. The charges leveled against Stephen are “will destroy this [holy] place [Jerusalem Temple]” and the “[Jewish] customs handed down by Moses”. In Acts 7, Stephen appear to be responding to the charges against him. The Jews in Stephen’s day were fiercely loyal to the land of Jerusalem, the temple as the center for worshiping God. 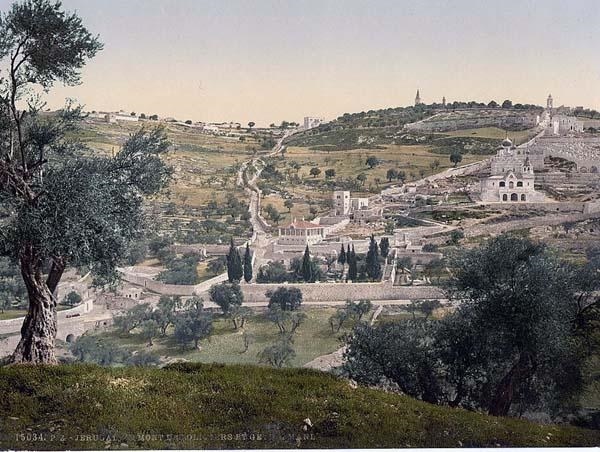 Stephen repeatedly shows that God had worked in many places and ways with His servants down through the centuries, and so God is not limited to Jerusalem or to the Temple. In fact he said God does not dwell in the building made by human hands – In comparison to INC today, the Church is so centered to the the offerings and used the building of houses of worship as the reasons. This is contrary to the teachings of the first century Christians like Stephen. We will go about the responses of Stephen’s accusations in reverse order following the same as recorded in the Acts chapter 7. Imagine they are known to be people of God but yet they [Jews in the Temple] produced false witnesses, who testified – do you not see this happening inside the INC now? In verse 17-43, Stephen responds to the charges of blaspheming Moses (Acts 6:11) and speaking against the Law by telling the early history of Israel using kind words starting with “brethren and fathers” and using the words “God of glory”. Stephen begins by stressing that their whole history began with the idea of deliverance. From Abraham to Joseph and Moses. From verse 2-8 Stephen quoted Genesis 12:3, Abraham who was at Babylon, making clear by this his view that God speak to men anywhere, even in Babylon which is always synonymous in scripture as people against God. The Hebrew people had some kind of belief that God dwelt within Jerusalem and within the temple. It was a very limiting factor – this is to me is similar to the belief that only inside the INC there is salvation. In verse 9-16 Stephen used the story of Joseph who was sold by the Patriarch to Egypt. Stephen was trying to point out God had revealed through dreams that Joseph, their brother, was to rule over them. He was a prophet from God. But Joseph was rejected by his brothers [the leaders of the covenant community], because of their jealousy, so that they sold him into Egypt. The jealousy was a pattern of the future – the same can be attributed to the current leaders of the INC, the Sangunian, because of their jealousy to the wealthy, the Church leaders started to embraced a luxurious lifestyle. You can see by the type of cars they are driving, by the things that they are wearing and for some by the houses they live, not to mention other luxurious things (planes, hotels and restaurants). In verse 17-36, Stephen speaking about Moses, he pointed out Moses was living in a foreign country and trained in all the wisdom of Egypt, had arisen as God’s deliverer, they rejected him also at the beginning. Moses was exalted and established away from Judea in Galilee of the Gentiles with what the Pharisees would see as “foreign” teachings. Stephen seems to continually stress that God’s deliverers were not brought up in the equivalent of mainstream Judaism. In the same way, he wants them to realize, the Prophet Who had come, who was like Moses, was the man of Galilee, not the man of Jerusalem. The Hebrew [Jews] people had a tendency to isolate God’s presence down to one geographical place. Stephen is making the point that the ground is holy wherever God is. You cannot limit Him to one geographical space. Stephen’s audience boasted in the temple as if it gave them special access to God, in spite of their wicked behavior. They thought that having the temple gave them special privileges with God, no matter how corrupt their behavior. Remember Stephen is standing before the Sanhedrin, these men have the power to have him killed – I can imagined this is no different than former INC Ministers during their “captivity”. By the time he is done with his defense, they [Sanhedrin] are the ones on trial being accused of blasphemy. In Acts 7:51-53, he called the Sanhedrin stiff-necked because they desecrated the Temple with Idolatry – this is no difference of the INC today, the chapels are decorated with images of EVM, a form of idolatry [remember idolatry is defined as extreme admiration for some thing, it is not necessarily an image made of wood or other materials] . In summary for the accusation to Stephen by the high priest, he used the scriptures to depend himself. He blasts them for their sins but it is all biblical preaching! Has My hand not made all these things? It was likely by these words the Jewish high priest finally concluded the sentence to Stephen. In the end, he was stoned to death. It is believe by most preacher it was Saul of Tarsus [a Jewish Pharisee dedicated to the persecution of the early disciples of Jesus in the area of Jerusalem before he became Apostle Paul] who led Stephen’s death. Saul eventually becomes Paul and disciple of Christ. Applying this to our time, I would not be surprised if someone will die defending for what they believe is corruptions inside the Church. All first century Christians standing for the truth for our Lord Jesus Christ die hard but well by the will of God. Today, God does not dwell in a building, He dwells in our hearts. We do not have to meet at a special building or enter a special building to worship God. Fast forward to Acts chapter 17, Paul became a disciple of Christ already. Paul was in Athens speaking to the pagans [Gentiles]. Paul repeated what was Stephen [during the time Paul was a Christian persecutor] mentioned about the new Temple. Acts 17:24-25, NKJV – 24 “God, who made the world and everything in it, since He is Lord of heaven and earth, does not dwell in temples made with hands. 25 Nor is He worshiped with men’s hands, as though He needed anything, since He gives to all life, breath, and all things. Apostle Paul repeated the same teaching to the Corinthians. 1 Corinthians 3:16-17, NKJV – 16 Do you not know that you are the temple of God and that the Spirit of God dwells in you?17 If anyone defiles the temple of God, God will destroy him. For the temple of God is holy, which temple you are. The Corinthians, had gathered in a house not a temple. 1 Corinthians 16:19, NKJV – 19 The churches of Asia greet you. Aquila and Priscilla greet you heartily in the Lord, with the church that is in their house. Apostle Paul clarified again that we are the temple of God again in the second letter to the Corinthians. In this scenario he was referring to both idols but continue to clarify that we are the new temple of God. A Samaritan woman asked Christ which temple is the true place to worship, the temple in Jerusalem or the Samaritan’s temple? We have to understand the scenario in John 4:19-24 is that the promised is still with the Jews at the time when Gentiles had not been called. Jesus foretold that soon, it is no longer required worship in Jerusalem for those who are Jews. He hinted that the true worshipers will worship in spirit and truth and no longer the promise is for Jews only and no longer is necessary to worship God in a physical temple building. The reason is that Jerusalem Temple will be destroyed [history confirms the destruction in A.D. 70]. God allowed Jerusalem Temple to be destroyed because the new temple is no longer physical but spiritual. Stephen and Paul explained the new temples are now his Christian children. God’s people are His temples. Remember the first dwelling of God is a movable tent called Tabernacle which later replaced by the Solomon’s temple. In Hebrew 9:11, God also replaced that with a heavenly Sanctuary, no longer a physical Tabernacle. Hebrews 9:11, NKJV – 11 But Christ came as High Priest of the good things to come, with the greater and more perfect tabernacle not made with hands, that is, not of this creation. In contrast, the INC made another Tabernacle in Central compound recreating what God already abolished. During the time of the Old Testament people, they are commanded by God to build a Tabernacle which eventually became a Temple. It was God’s way during their time under the Old Covenant and Mosaic law which, incidentally, they failed miserably to uphold and keep the place holy. We are no longer under the Old Covenant, Christ replaced Tabernacle and Temples from a physical building to spiritual being so that no one will boast just like the high priests of the Jewish Temple. You, brethren who are proud and keep boasting on the number of properties bought, new chapels dedicated under the present Church Administration, has no spiritual merit, for nothing in the New Testament God commanded men to continue building house of worship. In contrast, we are already the temple of God and we are to worship God in truth and in spirit in any place God is present. Possibly what you are boasting is against God’s will for it is not based on scriptures. It is written in 1 Peter 2:5, “5 you also, as living stones, are being built up a spiritual house, a holy priesthood, to offer up spiritual sacrifices acceptable to God through Jesus Christ.“. We are living stones, we are spiritual temple. This is wisdom, no mystery. This entry was posted in Religion on August 22, 2016 by Cornelius. This is the fourth part of the “End of The Age” series. If time permits, the following articles will be posted. We can summarize part 3 using the Easy-To-Read-Version (ERV) of the bible. If we revise verse 3 for clarity, The disciples asked, “Tell us when these things [referring to the destruction of the Temple] will happen. And what will happen to prepare us for your coming [note they are asking for His coming, not return because they do not know at this time Christ will die on the cross] and the end of time [in NKJV this is “… end of the age”]?”. According to other reference, the disciples connect the end of the age with the coming of the Messiah, which most Christian believe the second coming. The reason for this connections is that the Jews believe the coming of the Messiah will follow after the the end of the age. Matthew 24:4-8, ERV – 4 Jesus answered, “Be careful! Don’t let anyone fool you. 5 Many people will come and use my name. They will say, ‘I am the Messiah.’ And they will fool many people. 6 You will hear about wars that are being fought. And you will hear stories about other wars beginning. But don’t be afraid. These things must happen before the end comes. 7 Nations will fight against other nations. Kingdoms will fight against other kingdoms. There will be times when there is no food for people to eat. And there will be earthquakes in different places. 8 These things are only the beginning of troubles, like the first pains of a woman giving birth. Remember in the Church of Christ, the “you will hear wars and rumors of wars …” is interpreted as the first world war, the beginning of the end. If only we will try to understand the context of the disciples questions, they are asking Christ when is the Jerusalem temple destruction is, they are not asking when is the world will end. The “end of the time [ or end of the age]” in this context is not the same as the “end of the world”. The end of the age is the end of God’s covenant with Israel, the Jews. In Matthew 12:32, “this age” and “age to come” are two different period. Matthew 12:32, NKJV – 32 Anyone who speaks a word against the Son of Man, it will be forgiven him; but whoever speaks against the Holy Spirit, it will not be forgiven him, either in this age or in the age to come. “this age” referring to the generation of the disciples who are the audience when Jesus was speaking in Matthew 24. “The age to come” is the time after the generation of the disciples up to our time and to the future. However, it is entirely possible the “age to come” is future to the disciples but history to us because we are 2000 years apart. When Jesus is talking of “you will hear wars and rumors of wars” he was answering the questions of the disciples when is the destruction of the Jerusalem temple will be, not the destruction of the world. The disciples associated the destruction of the Jerusalem as the end of the age because they know that it is the end of the covenant of God to Israel. What other proof the “end of the age” is not the end of the world and why is it the first world war is not the beginning of the end? Matthew 24:34-35 Jesus said “this generation” will by no means pass away till all these things [what He was saying from the beginning of Matthew 24] will take place and his words will stay even if heaven and earth will pass away. The “rumors wars and rumors of wars, the tribulations, etc.” are signs of the coming of the destruction of the Jerusalem temple. Matthew 24:34-35, NKJV – 34 Assuredly, I say to you, this generation will by no means pass away till all these things take place. 35 Heaven and earth will pass away, but My words will by no means pass away. What other reasons the “end of the age” is not the end of the world and why is it the first world war is not the beginning of the end? let us understand the Mathew 24:9-14. Matthew 24:9-14, NKJV – 9 “Then they will deliver you up to tribulation and kill you, and you will be hated by all nations for My name’s sake. 10 And then many will be offended, will betray one another, and will hate one another. 11 Then many false prophets will rise up and deceive many. 12 And because lawlessness will abound, the love of many will grow cold. 13 But he who endures to the end shall be saved. 14 And this gospel of the kingdom will be preached in all the world as a witness to all the nations, and then the end will come. Noticed in verse 9 the receiver of the words, the disciples in ‘this‘ generation which is their generation, will be killed. History confirms how the disciples die . Verse 10-12 may sound like it is referring to our time but that would be out of context if we use it to the events of our time. History again proved how Christianity reach out the world when Constantine the Great became the first Christian Roman Emperor. What are the other proof the “end of the age” is not the end of the world? In Matthew 24:16, Jesus says “then let those who are in Judea flee to the mountains“. This is so literal that Jesus giving instructions when the destruction of the Jerusalem Temple is happening flee to the mountains. In verse 17 Jesus says “Let him who is on the housetop not go down to take anything out of his house“. Why Jesus giving this instructions? History confirms the destruction of the Jerusalem by Roman armies is so cruel. This is one of the reason Jesus gave instructions to the believers “when you hear wars and rumors of wars, do not go back to your home, flee to the mountain right away“. Matthew 24:16-18, NKJV – 16 “then let those who are in Judea flee to the mountains. 17 Let him who is on the housetop not go down to take anything out of his house. 18 And let him who is in the field not go back to get his clothes. Watch this YouTube video about the Romans and Jerusalem war. “I should not be wrong in saying that the capture of the city began with the death of Ananus; and that the overthrow of the walls and the downfall of the Jewish state dated from the day on which the Jews beheld their high priest, the captain of their salvation, butchered in the heart of Jerusalem. In Matthew 24:9 Jesus says “then they will deliver you up to tribulation and kill you“. If the “wars and rumors of war” refers to the first world war, the INC was only registered at the beginning of first world war, it has just begun growing its membership. If Matthew 24:6-8 is referring to the INC, then members should have been killed to fulfill Jesus words that says “… kill you” in verse 9. Jesus predicted the destruction of the Jerusalem Temple, the dwelling place of God. The destruction of the Jerusalem Temple is the end of the age, the judgement of God for not believing to Christ, the end of God’s covenant with Israel. I think there is reason for this, it is the beginning of the covenant of God not only to the Jews but to the Gentiles. In Acts 17:24 it says “God, who made the world and everything in it, since He is Lord of heaven and earth, does not dwell in temples made with hands.“. This is the Christian way which is no longer the same as the time of the Israel when God instructed Israel to build a temple as His dwelling place in times of the Old Testament. Why so? In Christian way, God made us His temple, no longer an structural building. It is written in 1 Corinthians 3:16, “Do you not know that you are the temple of God and that the Spirit of God dwells in you?“. We, believers of Christ, are the temple of God. In conclusion, the “wars and rumors of wars” mentioned in Matthew 24:6-8, the Iglesia Ni Cristo (INC), or Church of Christ, for which many many years I believed on its doctrines, used the verse in the wrong context. The Church had it wrong. This has now created a series of doubts to the other doctrines referring to the first world war as the beginning of the end, the time when the true Church of Christ had risen from the Far East. We will continue to test the spirits to find out whether the teachings were so. This entry was posted in Religion on August 7, 2016 by Cornelius.